This manual, belt driven bobbin winder has self-lubricating bronze bearings. Its tapered shaft accommodates bobbins up to 6" long. 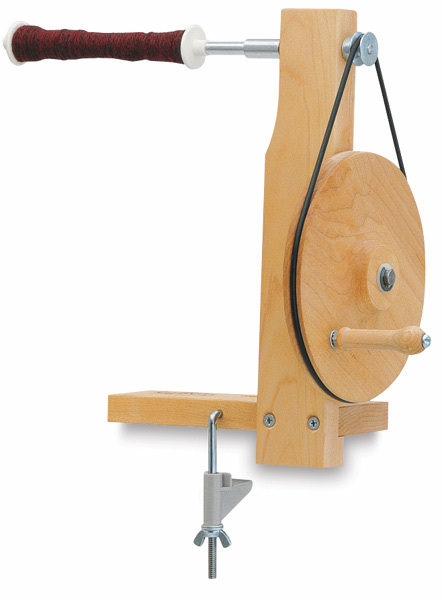 Plastic Bobbins — Schacht bobbins feature specially designed ends for trouble-free release of yarn. 4" (102 mm) length.